A grandmother and social worker in upstate New York has been accused in a murder-for-hire plot, planning to have her grandson’s father killed and his body fed to alligators, authorities say. Melisa Schonfield, 57, was arrested Friday after she allegedly tried to hire a hit man to kill Ernesto Negrillo of Florida for $11,000. Schonfield’s daughter and Negrillo have a 2-year-old together. Schonfield met Jefferson County Sheriff's Det. Dave Pustizzi inside her car at a Walmart in Watertown, New York, according to court documents. He was posing as the would-be hit man. Schonfield said the best way to get rid of the body would be to “throw it to the alligators,” according to the detective. The accusations shocked Schonfield’s daughter, Alexis, 31, who found out about the arrest on Facebook. Alexis Schonfield said Negrillo has been verbally abusive to her. ABC News attempted to contact Negrillo but he could not be reached for comment. Alexis Schonfield said her mother has not admitted to doing anything wrong, only that she loves her daughter. “This only happens on a Lifetime movie, you know?” Alexis Schonfield said in an exclusive interview with ABC News. “My mom is not a monster." Alexis Schonfield also rejected allegations that her father, a well-known dentist, was aware of his wife's alleged plans. Schonfield is home on bail, charged with second-degree conspiracy and criminal solicitation. She has pleaded not guilty, her lawyer said. Schonfield isn’t alone in allegedly plotting to have a loved one killed. Indeed, trying to hire someone to make a loved one disappear is more common than you think. The motives often include money, broken hearts and revenge. 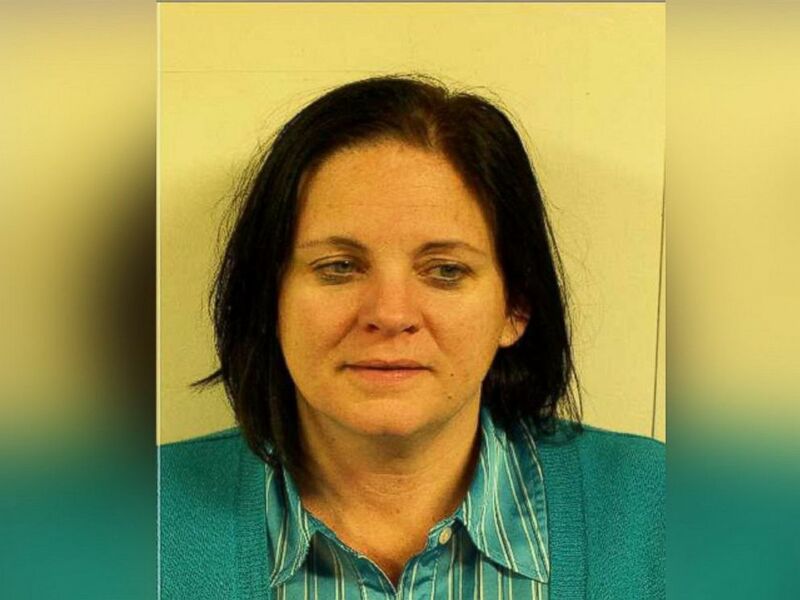 Julia Merfeld pleaded guilty to solicitation of murder for trying to have her husband killed. Julia Merfeld was looking for a clean getaway. Merfeld is now serving a sentence of at least five years and eight months after being convicted of trying to hire a hit man, who turned out to be an undercover agent, to kill her husband. Insurance money and the stress of divorce were driving factors for Merfeld’s intentions. Former FBI agent Brad Garrett, ABC News crime and terrorism analyst, said the majority of murder-for-hire cases involve amateur criminals. “What they do is, they step to a friend or an associate or someone that they knew in their past. And what happens, in a vast majority of the time, the person they step to goes to law enforcement,” Garrett said. Dalia Dippolito appears in court at the Palm Beach County Courthouse in this May 12, 2011 file photo in West Palm Beach, Fla.
For Dalia Dippolito, the alleged motive was greed for her husband’s money. Conversations recorded in 2009 allegedly feature her negotiating the terms for her husband’s murder. But the supposed killer for hire was also an undercover cop. Police later tricked Dippolito into thinking that her husband was dead, even having officers stationed outside their home, before playing the recordings for her. Dippolito’s husband, Mike, didn’t believe her when she finally got him on the phone from jail. “You know more than anybody it’s not true,” Dippolito pleaded. “Then what the [explicative]? You said you wanted to have me killed. I heard that,” Mike Dippolito said. Dippolito was sentenced to 20 years behind bars but won an appeal. She is now on house arrest awaiting a new trial. Image shows a mugshot of Nicole Faccenda. In another case New Jersey mom Nicole Faccenda wanted to settle the score with her ex-boyfriend’s lover. 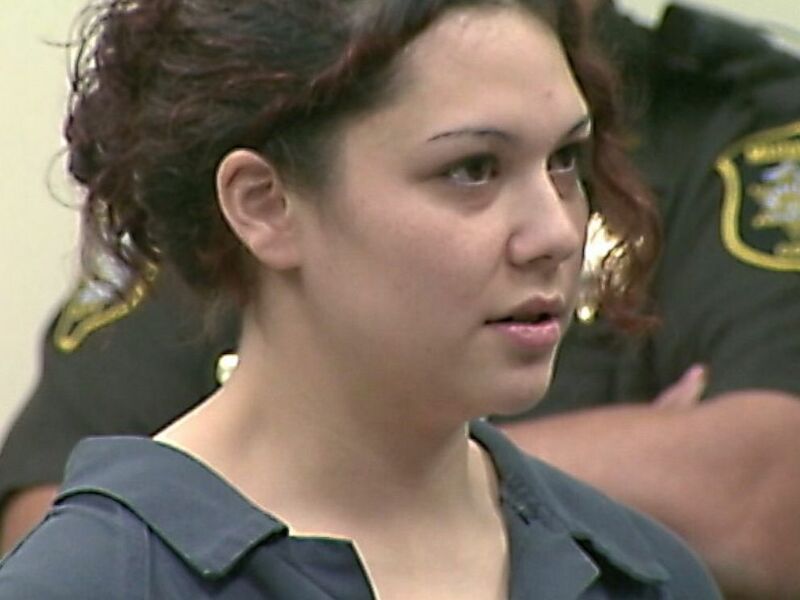 She enlisted the help of her ex-boyfriend’s relative on Facebook, who alerted authorities. She later met with a man she thought was a killer in the parking lot of a Mahwah, New Jersey, supermarket. But he was an undercover officer with the Bureau of Alcohol Tobacco, Firearms and Explosives. Faccenda eventually pleaded guilty, getting 10 years in federal prison. "I was a woman destroyed by emotions and I am paying for it dearly," Faccenda wrote in an email to ABC News earlier this year. "My message to any woman who has had her heart broken and has felt the pain of loss in every bone in her body ... is to take a deep breath and think before speaking,” she said. “Your words are powerful weapons and you will be held accountable for them and it is definitely not worth it."